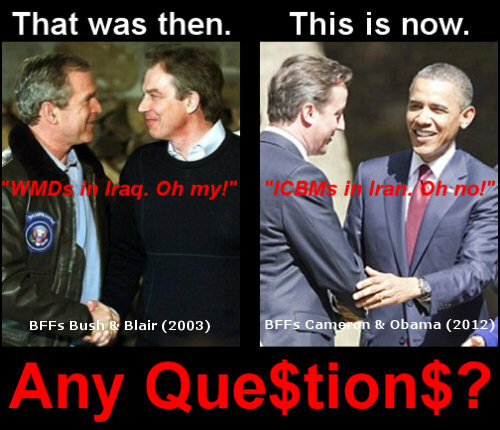 Home > Corporate Greed, Kleptocracy	> “WMDs in Iraq: Oh My!” Said Bush to BFF Blair in ’03. “ICBMs in Iran: Oh No!” Says Obama to BFF Cameron in ’12. World War Web Advisory #6: NSA Big Brother Utah Data Center To Achieve “Total Information Awareness” By September 2013 If You Vote in Elections or Sign Online Petitions, Are You Making a Difference or Wasting Your Time?